On the aftermath of the coup in Turkey, the arrivals in Lesbos have slightly increased in August. In the absence of precise political plans to address the difficulties faced by local actors, the island is transforming from a symbol of solidarity into a “fed-up community” (especially at the end of a summer where tourist arrivals hit an all-time low). Propositions to relocate refugees to local houses are met with hostility, even when it comes to minors, and even when such propositions promise to boost employment opportunities for local people. NGOs, volunteers and solidarians are being accused for corruption, or for ‘unpatriotic’ behaviour which supposedly undermines the needs of local people in favour of the refugees. The Golden Dawn (neo-nazi political party, accused of extreme violence against refugees/migrants and the murder of a Greek young artist in Attica), organise demonstrations that are increasingly supported by local people. The municipality informed the district attorney about the ‘No Borders’ kitchen (that has been operating for some time offering meals to the refugees stranded in Lesvos) in an attempt to evict them. The negative sentiments of the local community have intensified since the beginning of the summer where the mayor and a government MP were fiercely attacked. The atmosphere in Lesvos started becoming poisonous since May when the mayor was accused by local people for not caring enough about the economic prosperity and well-being of the island. In anticipation of the tourist season however, there was an ‘unspoken moratorium’ in Lesvos, since local communities and businesses wanted to avoid negative publicity. Business proved to be far worse than expected and the general austerity climate in Greece (that affects all small and medium businesses) did not help the local tourist industry either. The attitude of police forces on the island is also significantly worse than before. Characteristic is the case of Isam Masi from Pakistan**. He told us: “I saluted a police officer on my way out of the camp yesterday. I saluted him in Greek to show him how I am trying to learn the local language. He knows me well. I am here for five months now. He did not say “good-morning” to me. He just asked for my papers. When I gave him my papers he did not even check them. He just instructed me to leave with a node. During my trip I have been beaten, I went hungry. In Turkey, someone threw a bucket of water on me because I had found shelter under a canopy. In Lesbos I have been kicked and verbally abused. I am trying to figure out what I have done wrong. I keep telling myself, ‘perhaps other refugees have created problems and people are fed-up with us’. But I still cannot figure out why the officer was so dismissive of my attempt to address him in his own language. This incident has hurt me more than the physical and verbal abuse”. 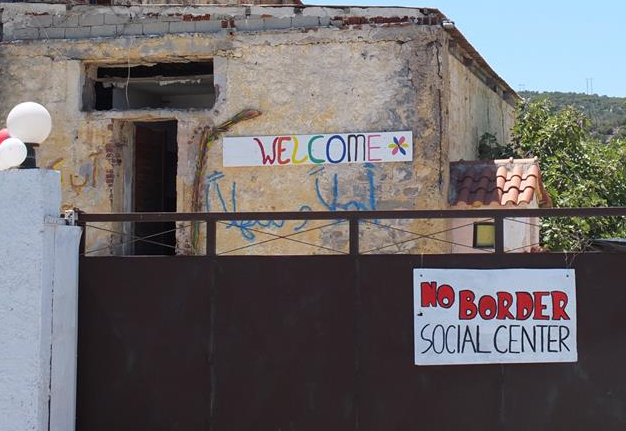 Solidarity is fast transforming in bitterness in Lesbos where everyone –locals and refugees alike- feel abandoned, frustrated, betrayed miserably failed. The Greek government responds with plans to relocate more refugees/migrants to mainland Greece. 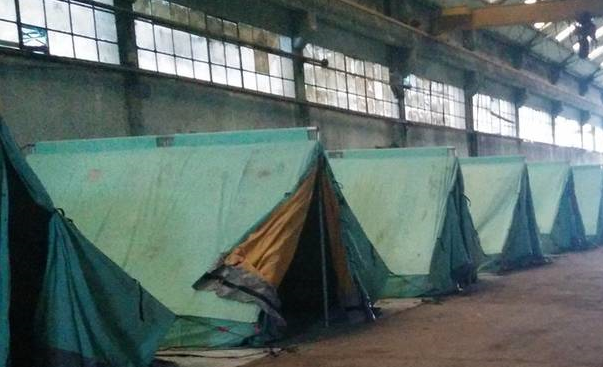 Most of the makeshift camps in mainland Greece are entirely unsuitable for medium and longer term residence.